The Aston Stealth is a broadcast-quality cardioid dynamic mic with quite a few tricks up its sleeve. Built to stand up to -- and outperform -- many of the industry's most famous broadcast dynamic mics, the Stealth includes 4 switchable voicings, an built-in preamp circuit that's powered by +48V phantom power in Active mode, and an internal Sorothane shock mount system that eliminates the need for a external shock mount. When Aston set out to determine the voicing for the Stealth microphone, they tried out a series of prototypes with some 90 top engineers, producers and artists. In double-blind tests, Aston's experts found that certain voicings performed best on male vocals, female vocals, and acoustic and electric guitars. That's why the Stealth comes with four switchable voicing modes: Vocal 1, Vocal 2, Guitar, and Dark mode -- a vintage-inspired, ribbon-mic-like voicing that smoothes out harsh edges on horns, violins, vocals, and any source you'd put up in front of a ribbon. The Aston Stealth's four switchable voicings aren't EQ filters, they're contour networks, which leave the bulk of the signal unprocessed and pure. Yet, the result is like four pro-quality mics in one, giving you easy-to-test options when you put this mic up in front of a singer. In another industry first, the Aston Stealth autodetects phantom power and automatically switches to active mode, firing up a Class A mic preamp built into the mic body itself -- doing away with any need for an external gain-lifting device. Unlike many low-output dynamics that require a Cloudlifter-type circuit to get the best sound, the Stealth can make use of +48V that your mic preamp is already supplying. It also functions in passive mode without phantom power, just as you'd expect from a pro dynamic mic. Aston left no stone unturned with the Stealth. 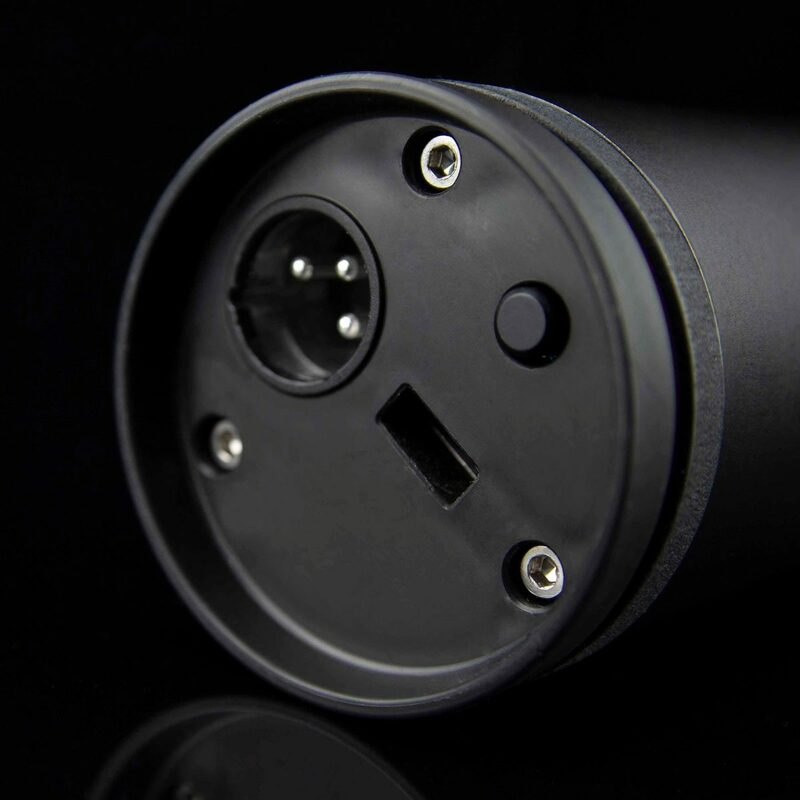 With their internal Sorothane shock-mount system, there's no need for a bulky spider mount or yoke system on this mic. In fact, the Stealth's capsule is completely isolated from the chassis. Just use the included stand mount and the mic's built-in quick-release mount to click the Aston Stealth into place and angle it perfectly to pick up any source. zZounds is an authorized dealer of Aston Microphones products. The Aston Stealth is a revolutionary broadcast quality microphone for studio and stage with 4 switchable voices delivering unparalleled performance in almost any situation. An autodetect function senses 48V phantom power and chooses passive or active mode as appropriate, and a built-in premium grade Class A Mic Preamp dispenses with the need for an external gain lifting device in active mode. Stealth features a unique Sorbothane internal shock mount system and Aston's legendary build quality. Stealth was developed in conjunction with more than 90 top engineers, producers and artists who participated in blind listening tests throughout the mic's development. The resulting four voice settings, Vocal 1, Vocal 2, Guitar and Dark, offer an unprecedented variety of professional sounds across a broad range of applications. Think of Stealth as four professional microphones in one. Each setting has been voiced by a panel of more than 90 top-flight audio engineers and producers on the Aston 33 panel through a series of double-blind listening tests, beating not only every mic in its class, but some far more expensive "industry standard" mics. There are 2 vocal settings optimised for different vocal tones, a guitar setting which is equally suited to Spanish guitar, electric guitar cab and steel-string acoustic, and a dark, vintage setting, reminiscent of classic ribbon mics. Mics which apply "flattering" -- but destructive -- pre EQ make professional post-processing almost impossible. Stealth, however, provides a choice of four pure, high-quality signal paths. The voice settings are not EQ filters, they are contour networks, meaning the bulk of the signal does not pass through any sort of filter circuitry. The whole signal is slightly attenuated, with some frequencies being added back in at a higher level. This results in much lower phase distortion than conventional filter designs. V2 (Vocal 2): This setting came top for a range of female vocal takes. As with V1, this was more to do with timbre than pitch. It's important to note that V1 and V2 test panel preferences for male and female vocal takes respectively was little to do with the pitch of the singers and therefore can only be explained with reference to physical characteristics (vocal cords in particular) producing timbral differences. These results, while absolutely clear in double-blind tests, don’t mean that you should only check out one setting for your own voice -- different settings should always be tried to find the best results. Stealth works with or without 48V phantom power and is the world's first microphone to feature an Autodetect function which senses 48V and switches to active mode, to utilise another of Stealth's standout features: a built-in professional-grade mic preamp (which dispenses with the need for an expensive external gain-lifting device). Phantom power is indicated by Aston's purple LED floodlights, which can be switched off when Stealth is to be heard but not seen, for example in broadcast and video situations. In another first, Stealth's mass-loaded capsule is completely isolated from the chassis via three hemispheres made from Sorbothane -- a synthetic material used in computing and hi-fi and an acoustic shield and vibration dampener -- offering unparalleled internal shock absorption. The capsule and other vital components are pretty much floating in midair! Like all Aston mics, Stealth is built to stand the rigors of professional life with a near indestructible chassis and capsule, and comprehensive isolation of the all-important inner-workings. The four voices are accessed by a flush-aligned rotary switch which cannot be snapped, bent or accidentally moved during performance or transit.